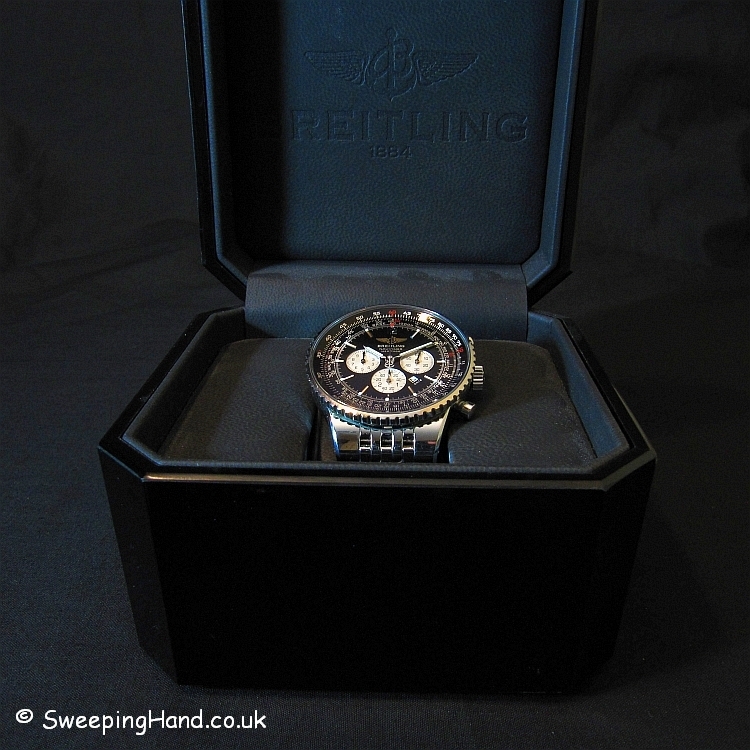 Here we have a beautiful Breitling Navitimer Heritage A35350 in excellent condition. 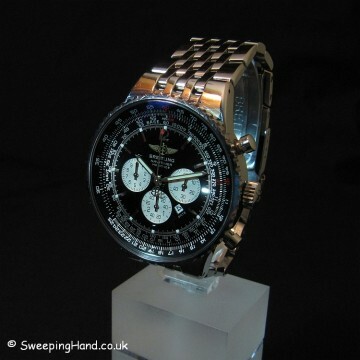 The heritage was a limited edition version of the Navitimer and is now out of production and difficult to get hold of. 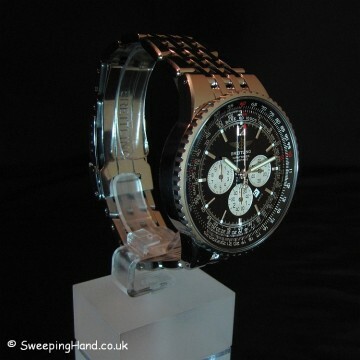 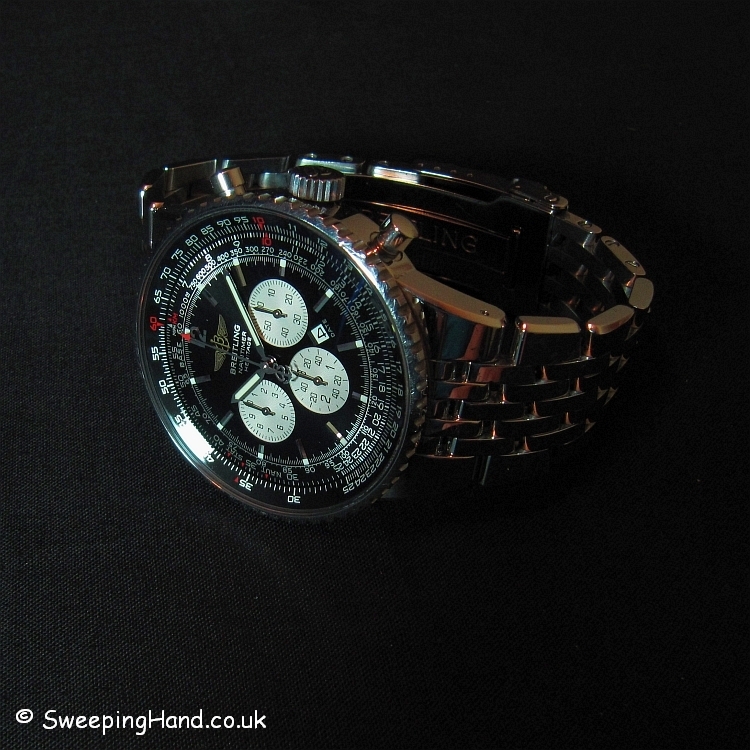 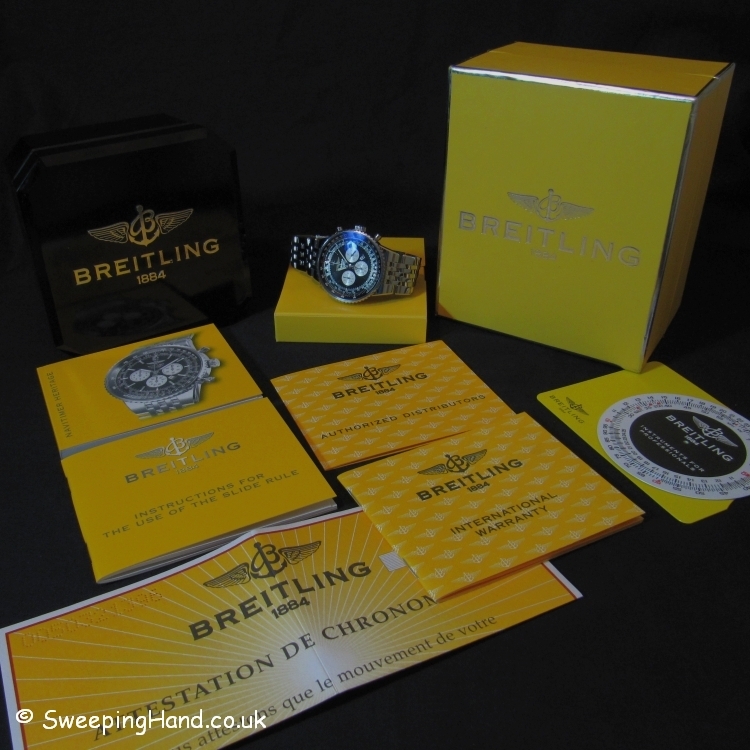 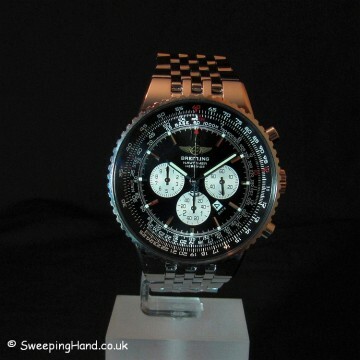 This is a one owner UK issued full set watch that comes with outer Breitling yellow box, inner black bakelite box, warranty booklet punched and dated November 2006, Navitimer Heritage booklet, Slide Rule instructions booklet, punched chronometer certificate, slide rule card and stainless steel watch with black dial and white sub dials. 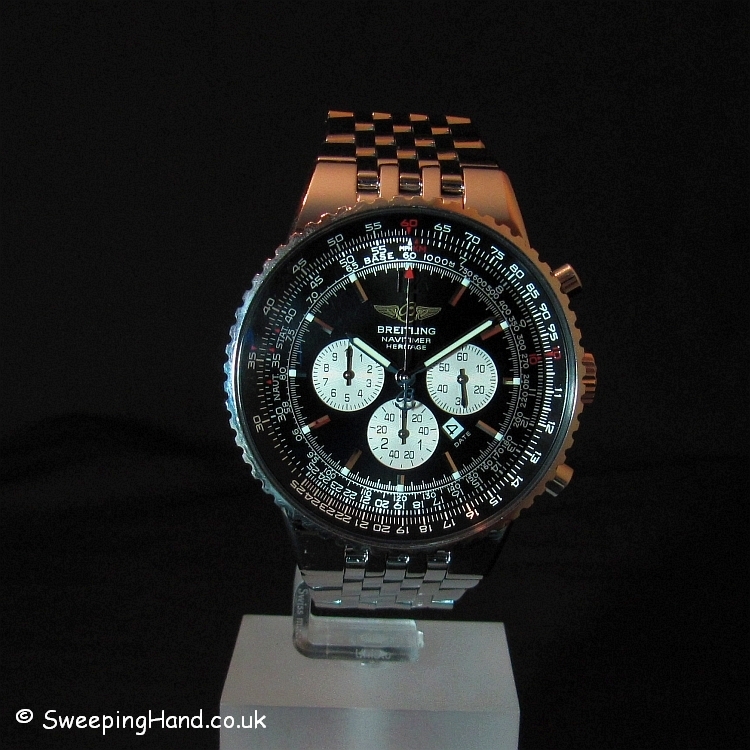 With a Breitling Calibre 35 movement and flyback chronograph complication the watch keeps excellent time and has a 42 hour power reserve. At 43mm wide it wears comfortable on the wrist and is water resistant to 30 metres. 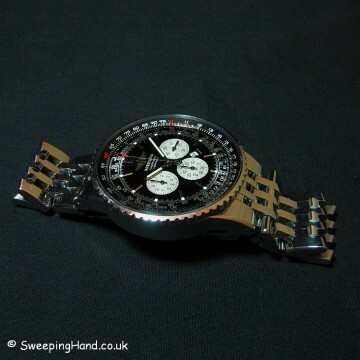 The black integrated slide rule bezel is bi-directional and all the sub dials, date and pushers work as they should. The stainless steel case is complimented by an integrated stainless steel bracelet. 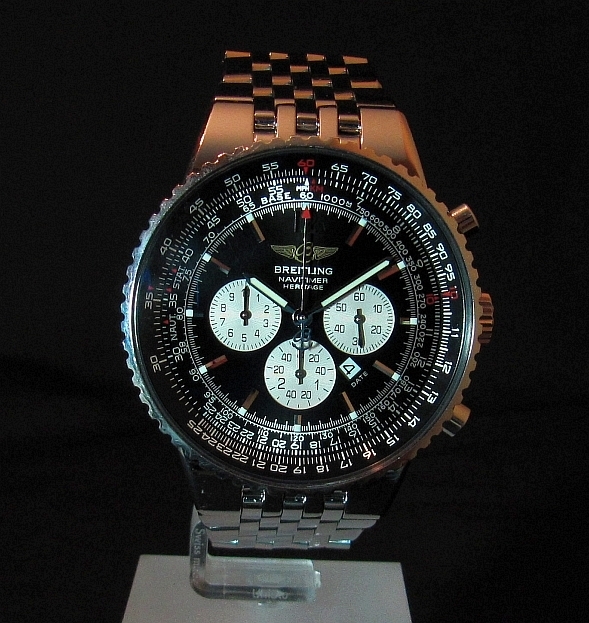 Probably the best looking modern Navitimer and not so easy to find in this condition.